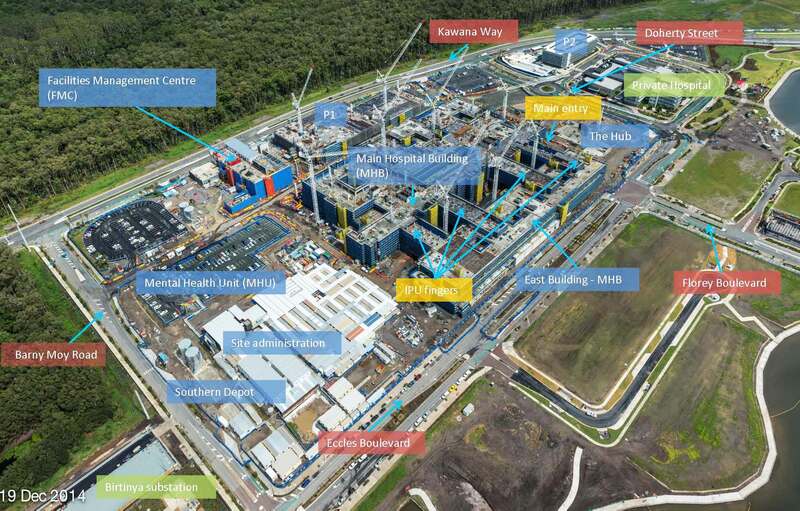 Nilsen are proud to announce they have been awarded the Electrical Contract for the Main Hospital Building at the Sunshine Coast Public University Hospital (SCUH). This forms the vast majority of electrical work to be completed on the project, which will run until mid-2016 in what’s been described as one of the most ambitious construction programs to date. The project will create thousands of jobs both during and after construction and be a catalyst for local commercial and residential development in the surrounding area. The health precinct will revolutionise healthcare by offering a range of new and expanded free public hospital services, supported by highly trained and specialised staff, to safely care for patients with complex or life-threatening conditions. This means about 10,000 patients each year will not have to travel to Brisbane for complex treatment. SCUH will open with about 450 beds in 2016, growing to a 738 bed facility by 2021. It can be expanded to 900 beds beyond 2021 if needed. 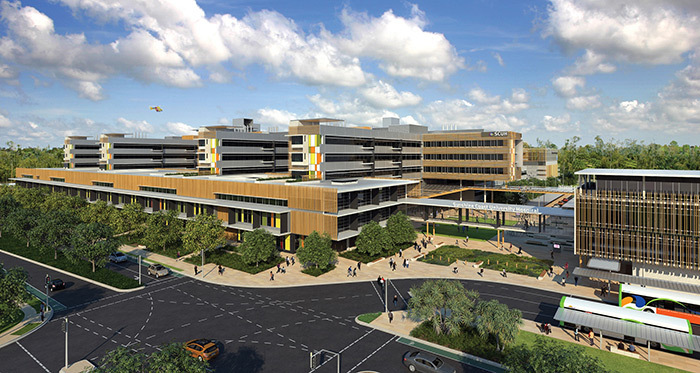 The SCUH site is on the 20 hectare Kawana Health Campus, located on the corner of Lake Kawana Boulevard and Kawana Way. The site will incorporate the hospital's Skills, Academic and Research Centre (SARC), a co-located private hospital operated by Ramsay Health Care (completed by Nilsen in late 2013) and opportunities for health-related commercial developments. The design for SCUH aims to deliver best practice in sustainable design principles, construction and operation. The hospital is targeting 4-star Green Star 'Design' and 'As Built' ratings with sustainability features such as solar hot water systems and energy efficient lighting. Click here to see a larger picture. Works on the suspended slab of the fifth floor of the Main Hospital Building are almost complete, with the structure now due top out late march on Level 6. The final tower crane for the HUB section of the Project is now erected bringing the entire construction site into full swing. The Nilsen Queensland team have commenced major works on site in the Main Hospital Building, having transitioned from preliminary works during the past six months. It has been a long journey to success, with the project first landing on the Estimators’ desks in November 2011. Thanks and congratulations are extended to those who have been involved in the complex bid, from both Queensland and interstate.